The designs are incredibly detailed, and at 38.1 mm in diameter the coin perfectly reveals every nuance of the intricate details. Struck in 26.73 grams of highly-pure 99.9% silver, your silver dollar has been graded by the Numismatic Guaranty Corporation (NGC) as being in flawless Mint State-70 (MS70) condition, a distinction that means your perfectly-graded coin will have ZERO imperfections – showing all features and fields exactly as the engraver and mint intended. 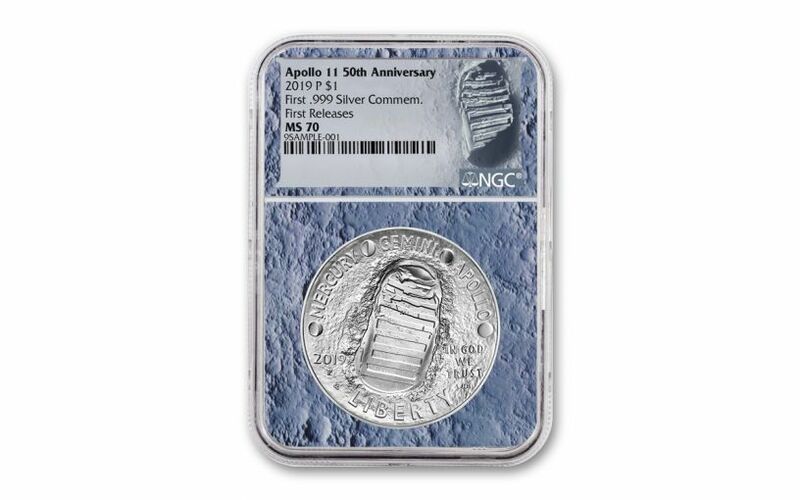 In addition, NGC has certified your 2019-P Apollo 11 50th Anniversary Silver Dollar to be a First Releases (FR) coin, a designation that means your coin was received by NGC or an NGC-approved depository within the first 30 days of its release. Your coin will also come sonically sealed in an acrylic holder that commemorates the 50th anniversary of the first lunar landing in 1969 with a special Moon display core that resembles the Moon’s surface. 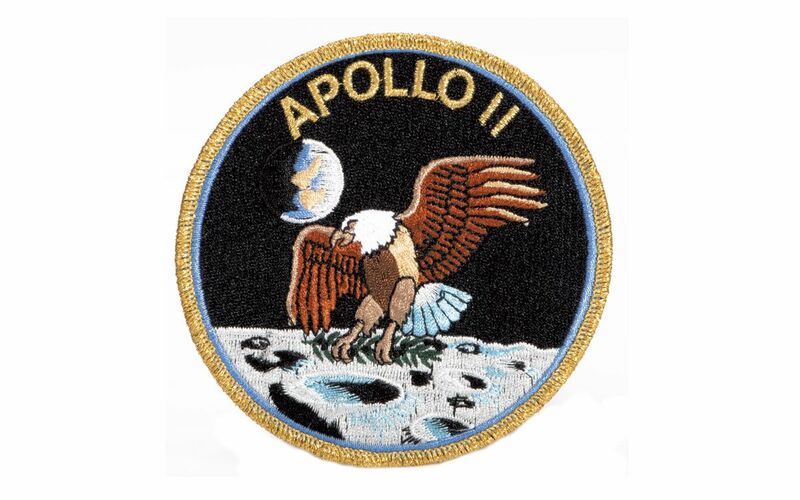 Finally, you will also receive an Apollo 11 Mission Patch – the perfect complement to your coin! With just 400,000 of these historic 2019-P Apollo 11 50th Anniversary Silver Dollars available in either proof or uncirculated condition, a quick sell-out is expected. In fact, the last time the U.S. Mint released a curved silver dollar was the 2014 Baseball Hall of Fame Commemorative Silver Dollar. That coin had a mintage of 400,000 and sold out in just 13 days! As a one-year-only issue, these curved coins will never be struck by the U.S. Mint again. When they’re gone, they’re gone! Don’t miss this historic release – it’s one small purchase for you and one giant leap for your collection! GRADED IN PERFECT PROOF CONDITION – Your 2019-P Apollo 11 50th Anniversary Silver Dollar has been graded by the Numismatic Guaranty Corporation (NGC) as being in flawless Mint State-70 (MS70) condition. KEY FIRST RELEASES CERTIFICATION – NGC has certified your 2019-P Apollo 11 50th Anniversary Silver Dollar to be a First Releases (FR) coin. 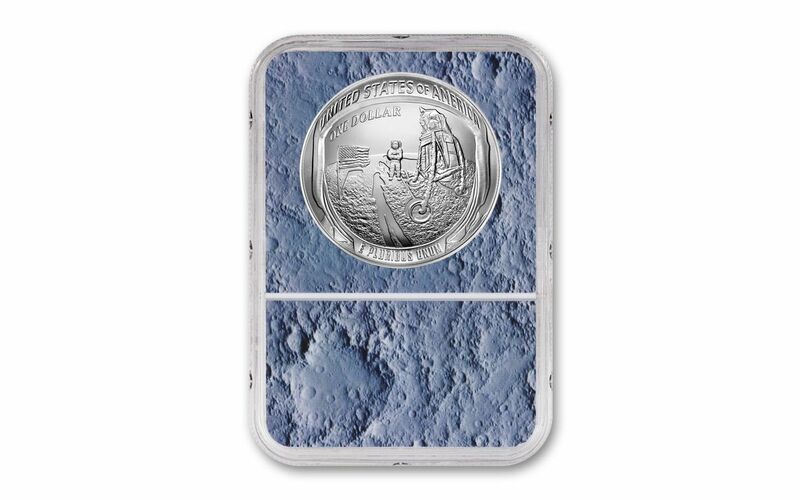 Put the first man on the moon into your collection and honor mankind’s crowning achievement with the 2019-P Apollo 11 50th Anniversary Silver Dollar. Order yours now!